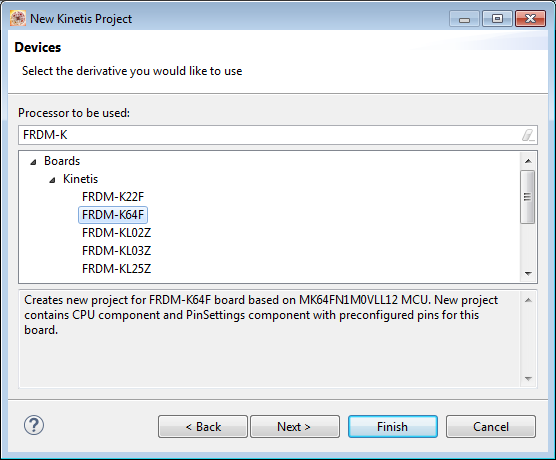 Freescale has released the new Kinetis SDK v1.2 back in May. Because of the changes in v1.2, previous applications (or my tutorials) do not work any more :-(. 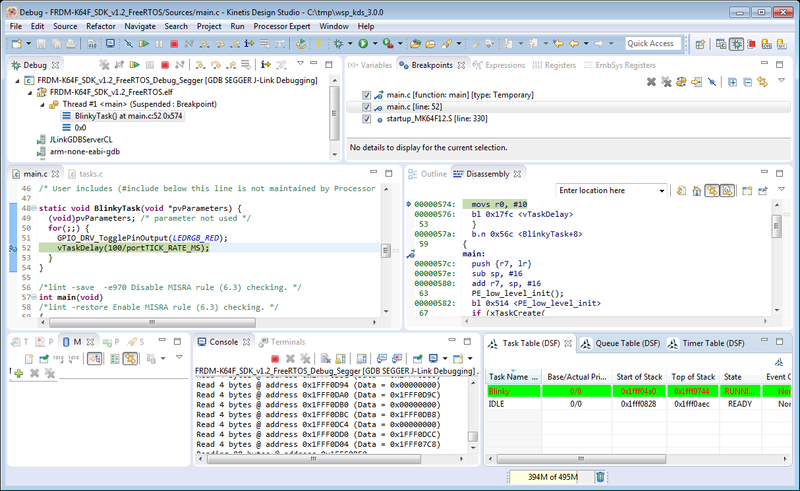 So time to write a new tutorial: how I can use Processor Expert with FreeRTOS for the Kinetis SDK v1.2. 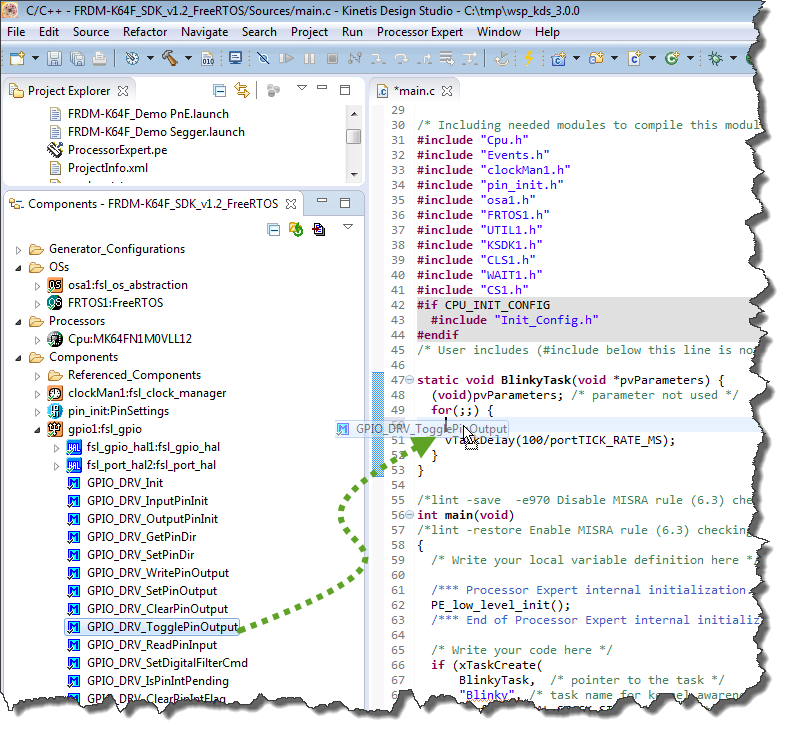 I’m using in this tutorial Kinetis Design Studio v3.0.0 with the Kinetis SDK v1.2. Make sure you have added the Processor Expert KSDK v1.2 update (C:\Freescale\KSDK_1.2.0\tools\eclipse_update\KSDK_1.2.0_Eclipse_Update.zip) with the menu Help > Install new Software. Additionally, I’m using my McuOnEclipse components from SourceForge (McuOnEclipse Components: 05-July-2015 Release). 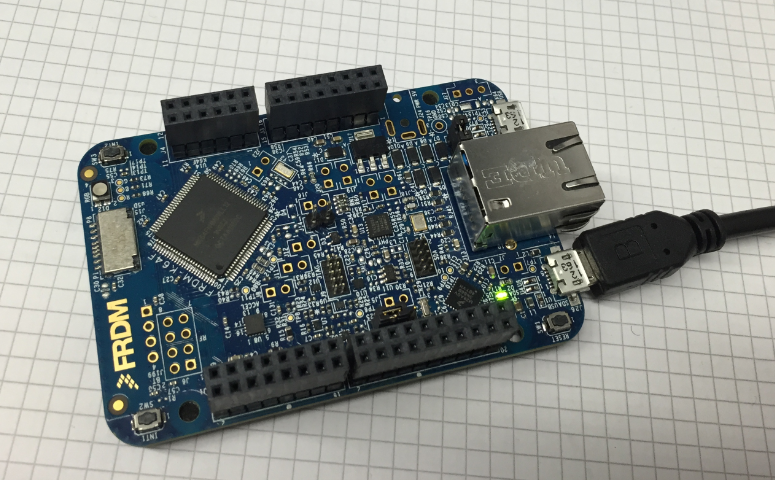 💡 For non-SDK Processor Expert projects, there is a bug in KDS v3.0.0 if I select the board. After project creation, it will complain that the CPU is not selected or set. The workaround is to select the device, not the board. In the next dialog I specify to use the SDK v1.2 and Processor Expert. With the ‘Standalone’ option I make sure that the SDK files get copied into my project. This will make sure that I have them locally. The added benefit of disabling that timer is that the code size gets reduced by 2922 bytes (!!!!!). Yet another reason to disable that timer :-). What I like in that component is that it uses folders for the functions (can I do this with the Bean Wizard for my component too?) and automatically takes the clock speed from the SDK settings. The default values of the component are far too high (e.g. 64 task priorities, enabled software timers, …) which creates an unnecessary code bloat. However, depending on what SDK functions you need, you need to enable Timers. Tickless idle mode is not supported. Enabling runtime statistics is not supported. No choice of different stack overflow detection strategies. No setting to enable/disable RTOS asserts. Cannot turn on/off floating point stack framing. No setting for IDLE task resource cleanup. No Task Exit Error handler. 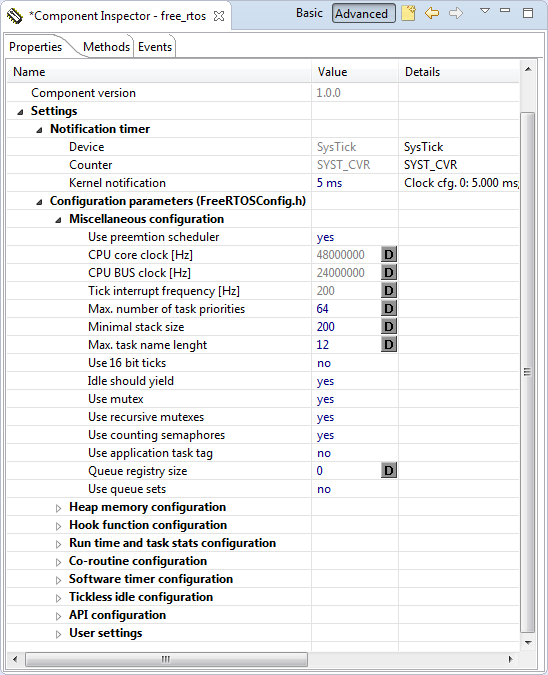 No support for 16bit internal tick counter (ok, that’s less relevant for ARM with SysTick). No interrupt priority setting support: at which priority the kernel shall run, Max SysCall Interrupt priority is missing. This should build without warnings or errors. It creates a task (function BlinkyTask) with a name (“Blinky”), having the minimal stack size as configured in the component settings (which is 200, or 200x32bits = 800 bytes). 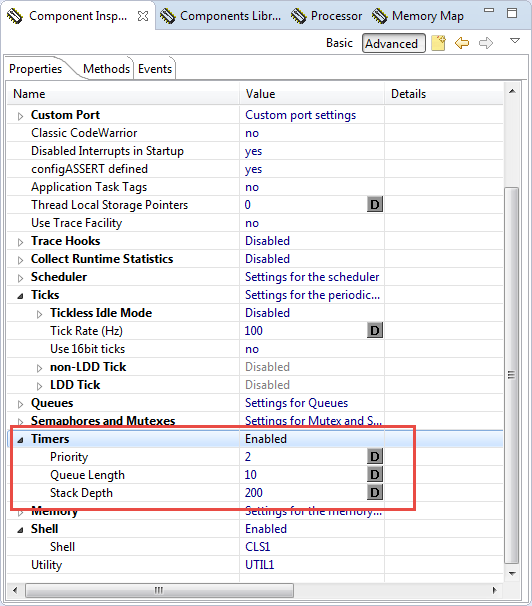 It does not pass an initial task startup value (NULL), sets the task initial priority to taskIDLE_PRIORITY (which is 0, and the same priority as for the IDLE task. As I do not need a task handle created, I pass NULL as last parameter. 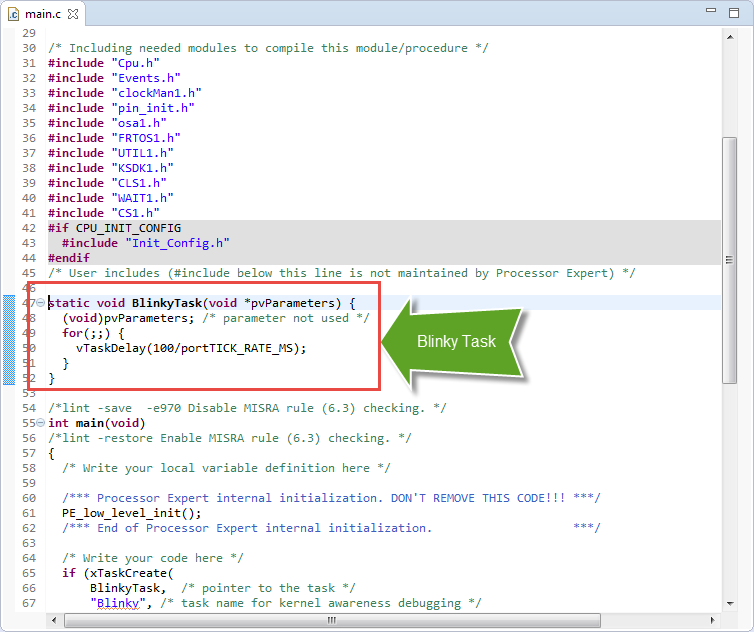 That ‘Blinky’ task is not blinking yet. What I need to add is the code to blink the LED on the board. On the FRDM-K64F the Red RGB LED is on pin PTB22. As I’m only using output pins, I disable the Input pins and assing PTB22 (LEDRGB_RED) as my output pin. As the LED is low active (cathode pin on the microcontroller pin), I use ‘1’ as initial Output Logic. Because I have added/changed components, I should generate Processor Expert code again. 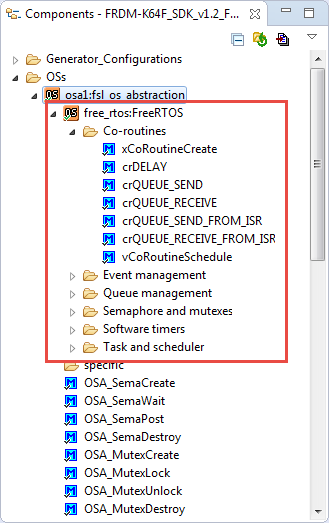 Depending on what functionality you are using in the SDK, you might need to turn on FreeRTOS Software timers. This is the case if you add the fsl_i2c SDK driver in your application. This one depends on having software timers enabled in FreeRTOS, because it is using xEventGroupSetBitsFromISR(). Priority should be ideally the highest priority in your system, or high enough that the software timer gets served often enough. Queue Length: 10 should be fine (this is what the SDK demos are using too). Stack Depth: The SDK demos use configMINIMAL_STACK_SIZE * 2, but in my experience 200 should be fine too. That might depend on your interrupt load/stack size for interrupts. 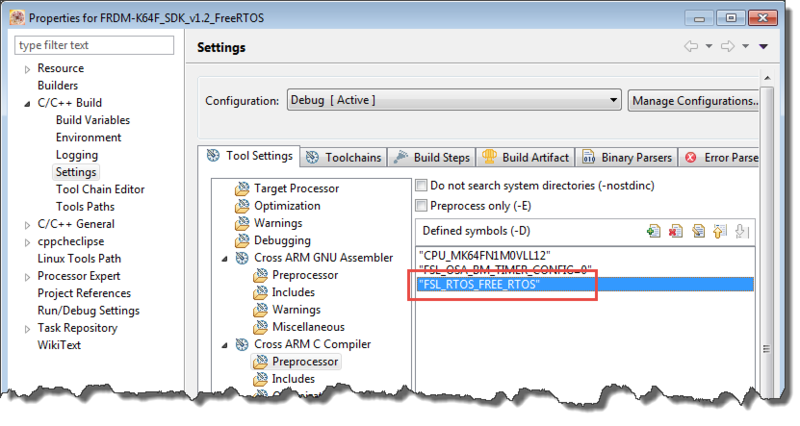 I recommend that you enable Timers in FreeRTOS only if you need it, because this will add one extra task to the system. The new Kinetis SDK v1.2 comes with several changes, including a fsl_os_abstraction component. While the SDK v1.2 comes with its own FreeRTOS component, you might consider the McuOnEclipse FreeRTOS component as a replacement, as it comes with a newer RTOS (V8.2.x) and includes features like FreeRTOS+Trace and command line support, plus more advanced settings to configure the RTOS. The project created in this tutorial is available on GitHub. 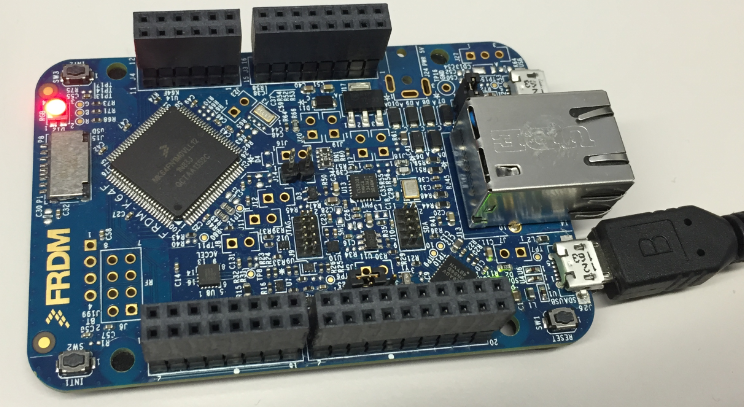 This entry was posted in ARM, Boards, CPU's, Eclipse, Embedded, Embedded Components, FRDM-K64F120M, FreeRTOS, Freescale, KDS, Kinetis, Processor Expert, SDK, Tips & Tricks and tagged arm gcc, Eclipse, Embedded Component, freedom board, FreeRTOS, Freescale, open source projects, Processor Expert, technology, Tips&Tricks by Erich Styger. Bookmark the permalink. 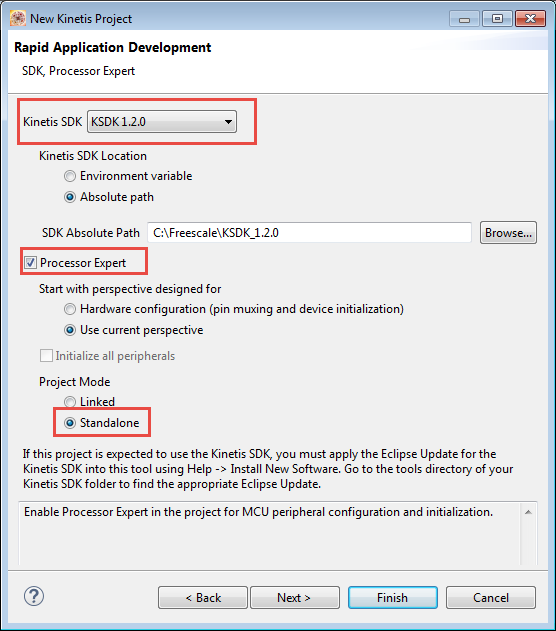 * What’s the difference between the Kinetsis SDK and the McuOnEclipse components. Are they effectively the same thing (just with different versions/features)? * Do the FreeRTOS sources come with the SDK or Components — or must FreeRTOS be downloaded and added to the project separately? I have a project I want to get up and running on a FRDM KL25Z board with an RS485 shield, using the latest FreeRTOS (v8.2.1). However I may want to port this to an STM32 board in the future (e.g. an Olimex STM32-H407 or STM32-E407) — one reason being some of the FreeRTOS middleware (+TCP, +FAT, +CLI) have a special free commercial license for some devices (STM32, LPC17xx, LPC18xx, SAM3, SAM4). I’m just wondering how easy it would be to port code that uses the SDK/Components, or whether it would be better/easier to use another approach. no need to say sorry: we are all learning new things. 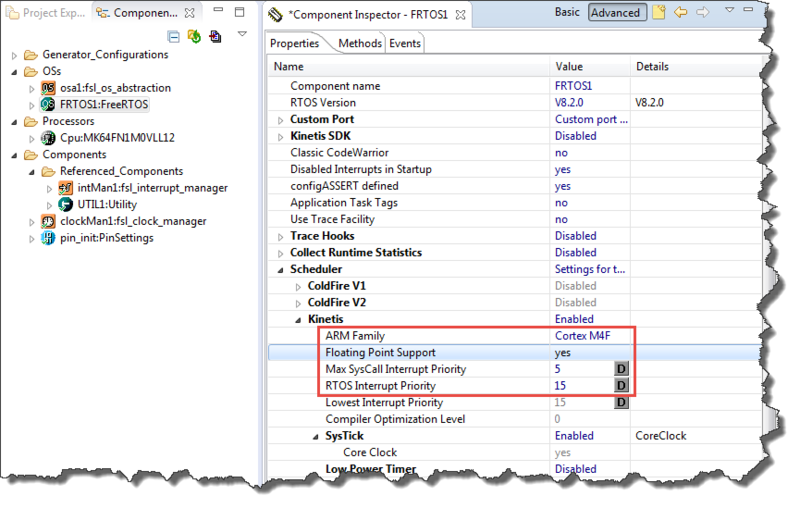 >* What’s the difference between the Kinetsis SDK and the McuOnEclipse components. Are they effectively the same thing (just with different versions/features)? The Kinetis SDK is a set of low level and high level drivers for Kinetis, and Kinetis only. The drivers can be configured with Processor Expert. The McuOnEclipse components are a set of Processor Expert components, for Processor Expert LDD (Logical Device Drivers) and ‘Beans’, and cover S08, S12(X), ColdFire, DSC and Kinetis. 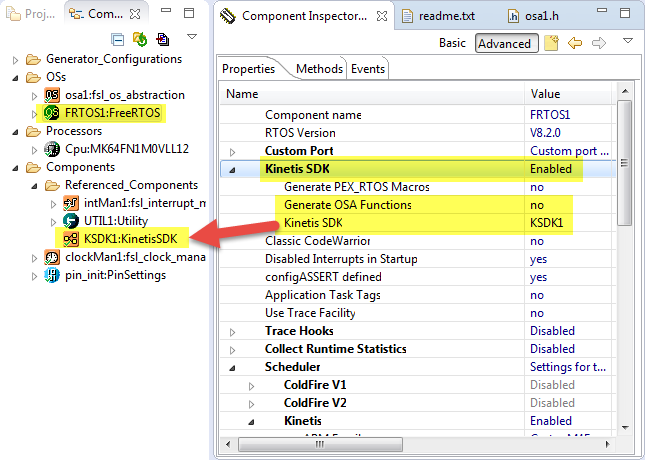 Some components work as well with the Kinetis SDK, but not all of them. >* Do the FreeRTOS sources come with the SDK or Components — or must FreeRTOS be downloaded and added to the project separately? 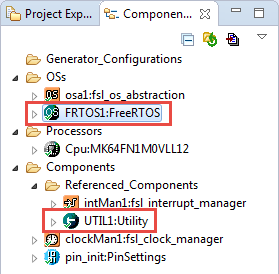 FreeRTOS (from freertos.org) does not come with the SDK or any components (except what I have published on FreeRTOS as user contributions). If you download and install the SDK, then it comes with a port (v8.0.0) of FreeRTOS. That SDK port actually has been generated by my McuOnEclipse FreeRTOS component (you can generate source code and use it otherwise, that’s a great thing with using Processor Expert :-)). Nothing prevents you to use the FreeRTOS sources and to use it for any other device (it is a very permissible open source license). >Can the components be used with other vendor devices? e.g. STM32. No, Processor Expert only exists for Freescale devices (and I guess this will be extended to support NXP devices too?). But you could use the generated code, at least from most of the McuOnEclipse components, depending on the licensing terms of each component. I cannot give you legal advice (of course! ), so I recommend that you read the SDK license agreement if you want to use the SDK for other devices than Freescale devices. Thanks gods for your and your blog existance!!! Really helpfull. 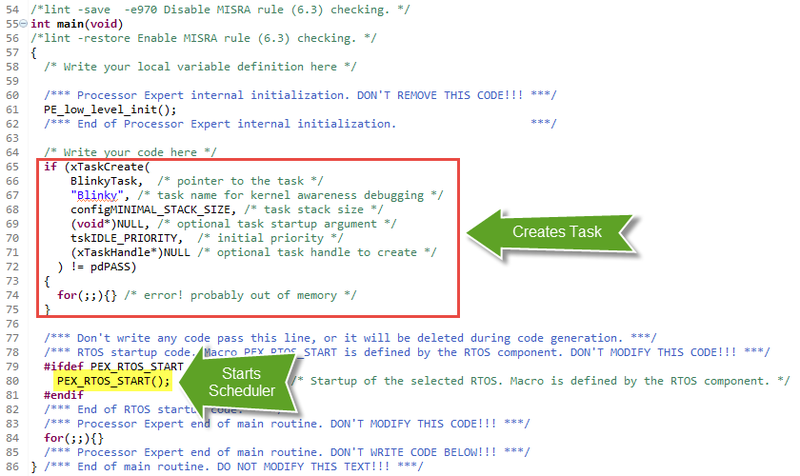 You arespend a lot of time reviewing FREERtos may be last half a year. What about MQXlite? Do you prefer FREERTOS much more? Is there any comparison about that two RTOSes? I am starting new project at a time and am choosing rtos for that. Lwevents seems nice to me and can’t see any simmilar things in the FREERtos. Thanks a lot for detailed response. I have not known about Task Notification mechanism-have to read about it. 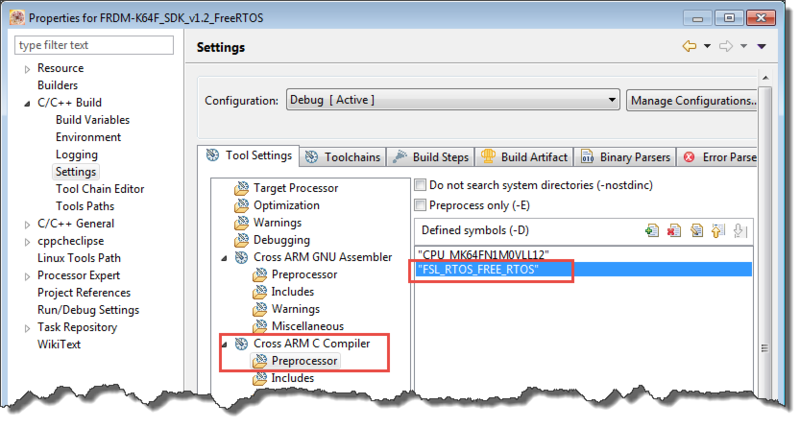 For me as a new member to embeded OSes FreeRTOS looks a bit simplier too. Thanks very much for this tutorial, really useful! Just a quick observation, it might be good to make xSemaphoreCreateBinary a function in the PE FreeRTOS component since vSemaphoreCreateBinary is deprecated (http://www.freertos.org/a00121.html) and also it starts the Semaphore in a state that can be ‘taken’ which is a bit of a gotcha if you don’t realize. thanks for reporting! About the ucHeap macro: this had been fixed with the release from 5-July-2015 (https://mcuoneclipse.com/2015/07/05/mcuoneclipse-components-05-july-2015-release/). Are you using this one or are you still on the previous one? strange, in my projects (even with C++ enabled) I have not seen vTaskSwitchContext() being removed. What version of GNU are you using? I’m happy to add __attribute__((used)), but would be good to know why or when this happens. Tanks for letting me know about ucHeap. Shamefully i found this workspace was pointing to an older version of those files, so pointing it towards the newer versions fixed this. 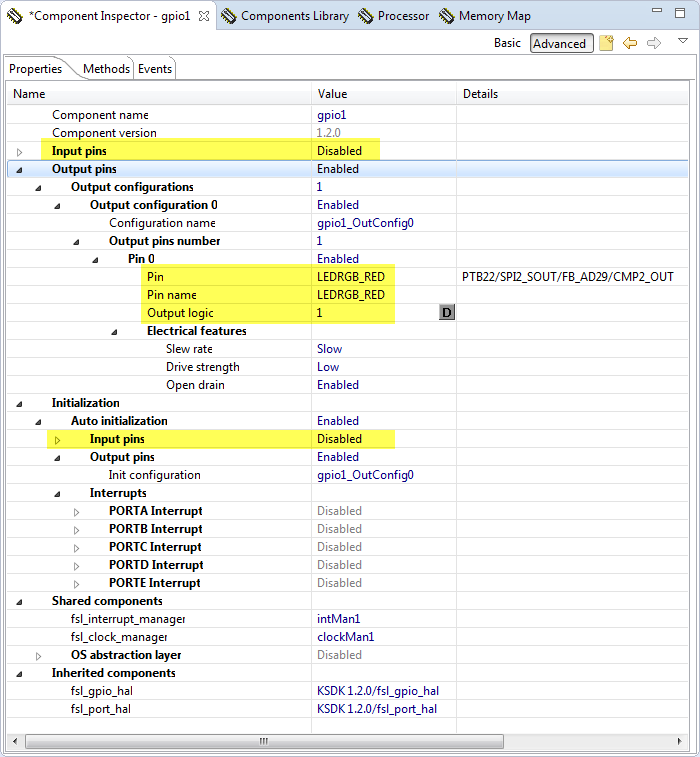 The vTaskSwitchContext error however remained. It was happening for me with standard c++11, abi >= 5 (g++ 4.6). I’d also like to know why its optimized out as im definitely context switching 😉 but obviously the fix isnt too painful, thanks very much for adding it. xTimerPendFunctionCallFromISR() is defined in file timers.c (it is part of the RTOS). Do you have that function? I followed your tutorial and my LEDs are working. I am now trying to add the accelerometer into my program and my program hangs (goes to default ISR). I have used the I2C code in other projects but it doesn’t seem to work when FreeRTOS is on. I enabled the timer like you suggested but that did not help. I moved the initialization code so that it happened outside of the RTOS but that didn’t work either. Is there a step I missed in using fsl_i2c other than enabling timer? ^^this code works in other projects. Do you know what interrupt is firing which goes into the default ISR? Maybe it is a hardfault, so you have not initialized a handler correctly? which is part of the above mentioned “Master Receive” function. Now whats weirder than that is if I “step into” the “Send Address” command that is giving me the error, I can actually single step through that just fine and I get through the whole thing fine and even return the correct response “0xC7”. Thanks for your help this is my first experience with FreeRTOS and your tutorials are invaluable! another thought: if it depends what and how you are stepping through the code, it means the timing has an effect. Are you sure you have the watchdog disabled in the startup code? Could it be that your watchdog timer fires and resets? Increase the amount of memory (Total heap size). I had the exact same problem fsl_dspi. Right, that’s a good point. But in case you run out of heap, with enabled ‘out-of-heap’ hook, it simply should halt the program, and not crash. By this do you mean increase the value in “Total Heap Size” inside the FreeRTOS->Memory tab? I tried that, increased it to 32k but still no luck…. Is there another place I should increase memory? Maybe there is something else you did? Increasing the Total Heap size did not fix my problem. Is there any other things needed to make it work? I have not tried fsl_dspi though only fsl_i2c to talk to onboard FXOS8700CQ. Your help is greatly appreciated! What about increasing the stack size for the tasks? Can you try this? It is a couple of day that i’m trying to remove the osa1 component without adding any OS. No, this is not possible from what I can tell. I tried it too, but I had no success to remove it. It seems that this is coming from the Kinetis SDK, as without the SDK, I do not need that component. i’m a bit desperate because if you confirm my impression there is probably nothing to do. Or maybe..is there any clean way to generate it with SDK and then re-use it in a non-SDK project? Maybe you simply could use one of the examples in C:\Freescale\KSDK_1.2.0\examples\frdmkl02z as a starting point for your project? I changed it up a bit. I made BlinkyTask read in parameters to decide which RGB LED color it would handle, plus when to toggle. Then TaskCreated 3 BlinkyTasks to cycle through the color combinations. Still learning the basics. I have to jump to freescale’s kboot and play with that next. I’ll eventually create a dual application/update recovery setup for kboot. I’m a bit disappointed I haven’t found something for what I thought was common feature. Any suggestions or tips? Thanks :-). And yes, you can use the task parameter to decice what to do inside the task (I don’t use that feature very often). Is it possible to do semi-hosting and use the above method with FreeRTOS? I always get a multiple definition of `_sbrk’ error because it requires the UTIL component. So depending on which GNU libraries you are using, you might simply rename that _sbrk() in the Kinetis SDK, and use your own version (this is what I’m doing). Love your blog. I’m currently working on a project that uses the KSDK 1.3’s freertos component. 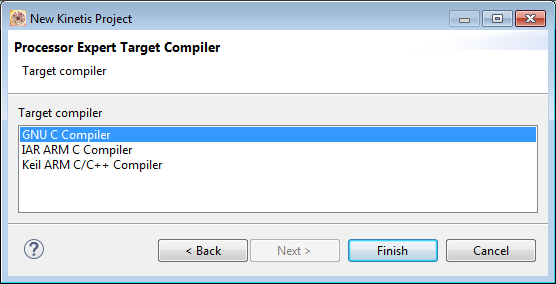 I’d like to make the switch to your component to get the extra debugging features ( GDB Helper, Segger System Viewer, plus I can move up to FreeRTOS v9 for the static functions ). After I made the switch, my code runs but eventually gets stuck in the IDLE task. When I look at the task list, it shows that all my tasks are blocked. When I dug a little bit deeper I found that the SysTick_Handler is never executed. I know the scheduler is started and the Tick Timer is initiated so I’m not sure why the SysTick Handler isn’t getting hit. Is there any other PEx settings or configurations that may help? I belive the problem is that either SysTick is not running, or you are using the SysTick from the SDK so it executes the wrong interrupt service routine. Make sure that you have set the SDK fsl_os_abstraction component setting to ‘bare metal’ and the systick/timer disabled there. And have the SysTick enabled in the McuOnEcliopse component.